In another devastating accident because of a product gone bad, a man has been killed after his e-cigarette (sometimes called a vaping pen) malfunctioned while in his mouth. This story, like so many others similar to it, is another reminder of how dangerous the products that we use every day can be. A man in Texas recently walked into a store, and purchased a vaping pen (sometimes called an e-cigarette). As he sat in his car “smoking,” the pen suddenly exploded, sending pieces of shrapnel through his neck and face. After the accident, witnesses said that it looked like someone had been shot. Remnants of the pen’s lithium battery were so hot they melted a plastic cup holder inside the vehicle. He stumbled out of his car, and collapsed. Two days later in the hospital, the man died after suffering a stroke caused by the severing of his carotid artery by the shrapnel. This is just months after the May 2018 death of a Florida man, whose e-cigarette exploded while in his bed. The man suffered burns over 80% of his body, but the cause of death was attributed to the pieces of shrapnel that flew and lodged into his head. From 2015-2017 it is estimated that there were about 2,000 cases of injuries caused by exploding or malfunctioning vaping pens, according to a recent study. These two incidents are newsworthy in that they resulted in death. What makes these devices so dangerous is the close proximity between the battery and the user’s head and face. Other areas may also be vulnerable, such as fingers if the device explodes in people’s hands. The unique, longer shape of an e-cigarette also contributes to the potential for injury. There is little padding between a battery that malfunctions, and the external casing of the e-cigarette, meaning that there is more of a chance of a catastrophic explosion when a battery malfunctions. The Food and Drug Administration does not do any testing of pens, nor has it issued any safety standards or regulations. That will change in 2022, when manufacturers will have to apply to the FDA to be sold. That may cut out some of the overseas products that are being sold cheaply, and with few warning labels. In the meantime, the FDA has made recommendations that can be followed to make the devices safer. The FDA suggests that users only use devices with safety features, such as inner circuits that regulate or restrict voltage. Loose batteries should never just be kept in a pocket, as they can explode when they come into contact with other metal objects. Most spare batteries come with cases, which should be used at all times. Were you injured because of a defect in a product? 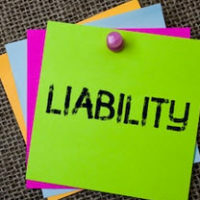 Contact the West Palm Beach Product Liability Lawyers Celeste Law Firm today for a consultation if you have been injured in an accident.